Despite notable advancements in speech-recognition technology and voice input, and the popularity of tablets, the humble PC continues to be the workhorse device of choice for many workers around the world. And whether you're an office-bound professional slouched behind a desktop PC, or a globetrotting executives armed with the latest ultrabook, the "physical" hardware keyboard continues to play a crucial role in productivity. The last thing you want in the heat of the moment is to fumble around for a mouse or have to take multiple steps to complete a task that could be done with a quick keyboard shortcut. Of course, learning and remembering such shortcuts can be hard work, and you'll need to take some time to find the appropriate shortcuts for you. We're here to assist. 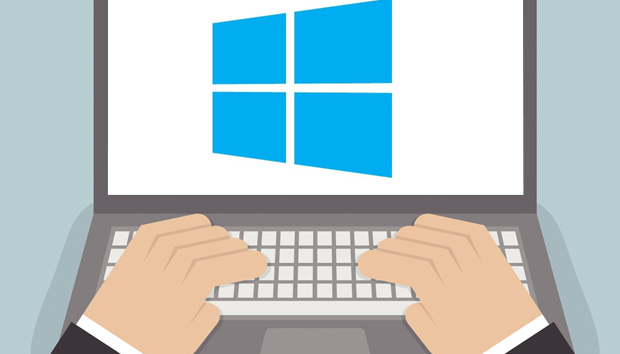 This list of valuable Windows keyboard shortcuts will help you work smarter and faster. If you hope to master Windows keyboard shortcuts, you should start with the Windows desktop. The following shortcuts let you toggle between app windows and quickly resize them without having to reach for a mouse or align your apps. Windows key (a.k.a., "Winkey") + D. Minimize all app windows and jump straight to the desktop. Hit the shortcut again to bring all apps back to the foreground. Winkey + Comma. Take a quick peek at your desktop, and then release the keys to snap all apps back to the foreground. Winkey + Left Arrow, or Winkey + Right Arrow. Dock your app windows to the left or right of the screen. Winkey + Down Arrow, or Winkey + Up Arrow. Maximize or minimize a selected app. Or dock your app windows to the top or bottom of your display, when app windows are already docked to the left or right. F11 – Toggle an active window in and out of full screen mode. These useful shortcuts help zoom the cursor around your page much quicker than if you use a mouse or trackpad. Ctrl + Right Arrow, or Ctrl + Left Arrow. Move the cursor one word to the right or left. Ctrl + Down Arrow, or Ctrl + Up Arrow. Move the cursor to the start or end of the next or previous paragraph. Ctrl + Z, or Ctrl + Y. Undo or redo almost any action, as long as the app supports the feature. Long a staple feature in Linux and the Mac, Microsoft finally officially incorporated virtual desktops into its Windows 10 OS. The indispensable feature lets you create additional desktops to better manage multiple app windows. Winkey + Ctrl + D, or Winkey + Ctrl + F4. Create or close a virtual desktop. Winkey + Ctrl + Left Arrow, or Winkey + Ctrl + Right Arrow. Toggle through your virtual desktops. Winkey + Tab. Display the "Task View" interface for an overview of all virtual desktops. You can use the Arrow keys to toggle through desktops if you also hit Tab when in this mode. Hit Enter to jump to a selected desktop. You've probably used a web browser for as long as you've had a computer, but do you take full advantage of keyboard shortcuts for browser navigation? These browser shortcuts all work the in latest versions of Internet Explorer, Microsoft Edge, Mozilla Firefox and Google Chrome. Alt + D. Put the cursor into the browser's address bar. Ctrl + W, or Ctrl + T. Close or open a new browser tab. Ctrl + Plus sign, or Ctrl + Minus sign. Zoom in and out on a web page. Reset the zoom level with Ctrl + 0. Ctrl + Tab, or Ctrl + Shift + Tab. Toggle to the next browser tab from left to right, or from right to left. Alt + Right Arrow, or Alt + Left Arrow. Browse forward or backward through recently visited websites. These shortcuts perform the same function as a browser's Forward and Back buttons. This guide wouldn't be complete without some shortcuts that help you shut down your PC and then lock things up. Winkey + L. Immediately lock your PC. Ctrl + Shift + Esc. Open the Task Manager to monitor app or forcibly shut down frozen programs. Alt + F4. Close an active app. Using this shortcut key when your desktop is at the forefront invokes the "Shut Down Windows" prompt.